One of World War II's Tuskegee Airmen will lead the township's 55th Annual Memorial Day Parade this year. 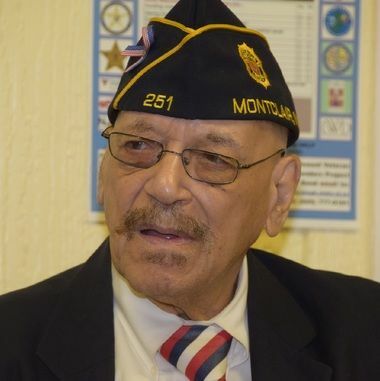 Charles Nolley, a 99-year-old Edison N.J. resident, has been named the Grand Marshall in the upcoming parade, Mayor Thomas Lankey announced Friday. Nolley was drafted into the second World War in 1943 and served as one of the first black aviators in the history of the U.S. armed forces. He trained at the Tuskegee Army Air Field in Alabama to become part of the Army Air Corps' four squadrons of all all-black servicemen. Nolley flew combat mission over Europe for three years with the 99th Pursuit Squadron. "Not only is Mr. Nolley a witness to history, he is living history. His story is one of perseverance, dedication, service and success," Lankey said in release. "We are privileged to have Charles and his wife Martha as neighbors, and we are honored to have him as our parade Grand Marshal."